Why are sports domes curved? Why are triangles used in many bridges? 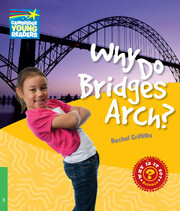 You can find the answers to these and other questions about structures in Why Do Bridges Arch?